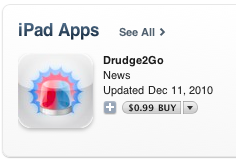 Wanted to revisit a previous post i made about Adam's iPhone app Drudge2Go. Go download it in the iPad store or the iPhone store now ! 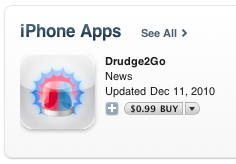 Obviously its based on www.drudgereport.com and offers a nice iPhone friendly interface to consume this super popular news site. I have been involved with this app project as a "friendly advisor" since before it was branded/ submitted to the app store. It is always good to see app projects evolve and release updates. Drudge2Go has a few nifty features such as smart "new" badges, a tab for "breaking" news, support for favicons for the content sources, and a clean Siren logo. Overall this new version is a very solid upgrade from the first version. 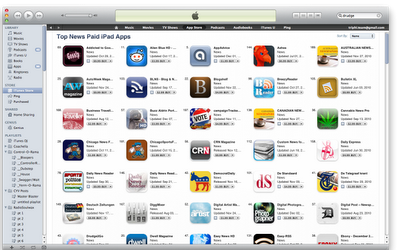 It is strong step forward to being the best Drudge app in the iPhone and/or iPad app stores. It got approved in the past 24 hours, and it already broke into the Top 5O. 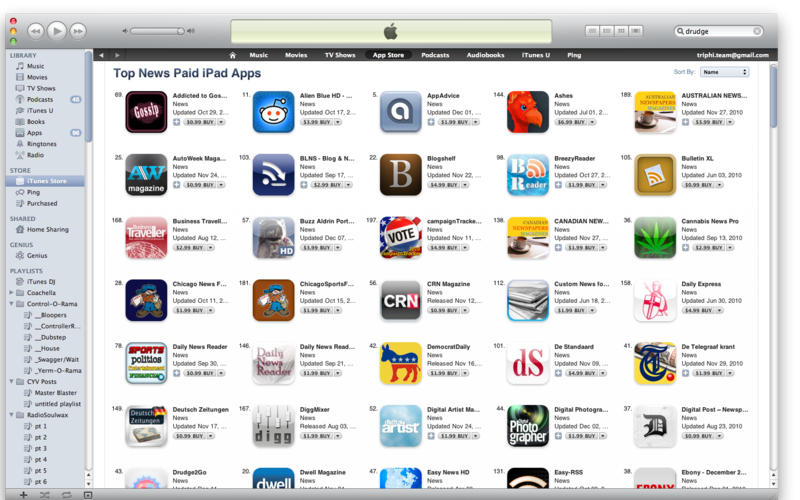 It is #43 in the iPad store's news apps section. Go download it and help it rise to the Top 1O !